Garlic is common herbs in our kitchen. Garlic is originated from central asia as early as 3000 B.C. 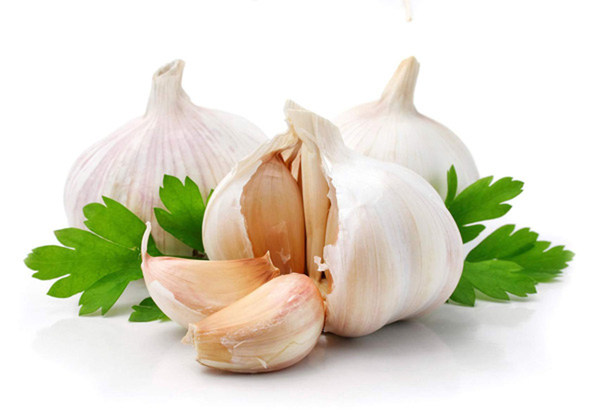 The delicious bulbs of garlic is used as essential medicine in Ayurveda. Sanskrit name Rasona means lacking a taste, sour taste. which activates and fortifies the defence mechanism of the body, thus making Garlic one of the outstanding prophylastics for any disease. It is also a powerful antiseptic. The bulb and the cloves of the garlic are the most commonly used. Digestion Garlic is a classical home remedies for gastric problems. It corrects flatulence, worms, parasites, infections, dysentry, typhoid, food poisonings etc. It is useful whenever there is a disturbance of kledaka kapha or apana vayu in the intestines as it clears both mucus and gaseous distension. Lungs Garlic bulb has good effect on lungs, cleaning bronchioles and alveoli. It is strongly decongestant. It is good cold remedy with classical kapha symptoms. Immunity It is good against prophylactic and prevent infections. It boost up immunity and kills the pathogens. Heart Garlic is best cardiotonic. It reduces kapha and ama in rasa, rakta and medas dhatus. It has good effect lowering blood cholesterol and reduces clotting. External It is useful as paste or oil for external application in kapha-vata disorders like itching, ringworm, fungal infections or ear infection. It is also beneficial for arthritis, oedema and sciatica. * Ginger, fennel, chitraka, hingu, black pepper for digestive weakness. * Pippali, licorice, ajwain for coughs. * Guggulu, pushkaramoola, arjuna and bibhitaki for the heart. 1–3 cloves per day, 6–15 gm dry or 1–6ml per day of a 1:3 @ 45% tincture. How to heal blisters in home?